Hey there! Did you see new Opera Max? I hope you saw, but if you are an Indian then you are unable to connect to it, am I right? Even I faced this error, but I was eager to try this application. Then I got an idea to run Opera Max in countries in which where it is not currently supported. 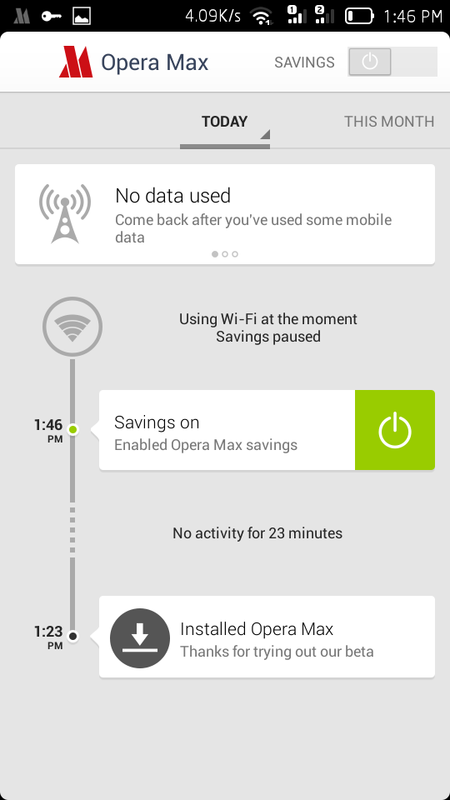 Opera Max has a whole new UI with new features like better download support, better and fast browsing etc. You can see the features of Opera Max in Google Play Store. It actually acts like a VPN which compresses the data through their servers and serves compresses the data and transfer to our mobile phone. 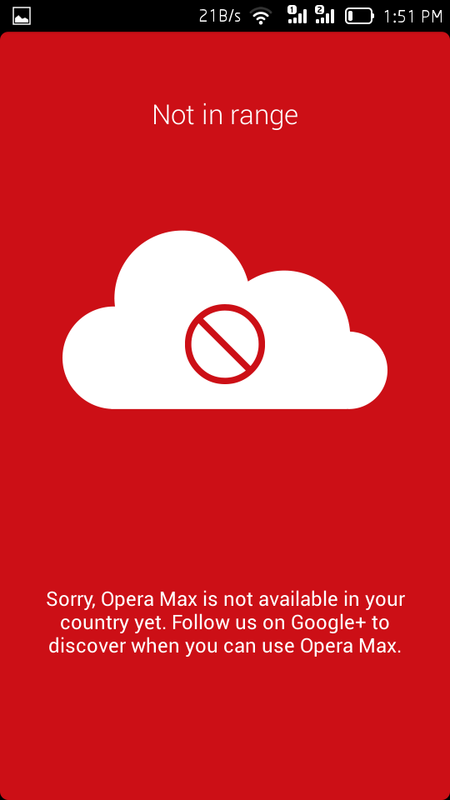 Currently they are present in USA and only new countries, but India, Pakistan and other countries doesn't have these servers and that is the main reason why you cannot use Opera Max in your mobile phone. You just need a 3 MB application to make it working in your device! I when opened the Opera Max saw an error Not in range. Sorry, Opera Max is not available in your country yet. Follow us on Google+ to discover when you can use Opera Max. Then I thought, thought and thought and ended up with using it!! Let's see what do you need to do to make Opera Max working in your country. Download the Express VPN from Google Play Store. Register or click on Trial. It will connect to New York..It will take some time to connect so don't click on Cancel. Now open Opera Max. It will start some loading and then you will see the slides. Just swipe from right to left on all the slides. It will work now! You can configure as per your needs now.